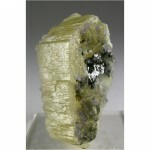 An exceptional specimen of lustrous gemmy Cerussite crystals with Barite and Galena from Morocco. 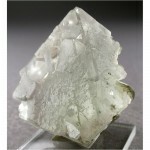 The Cerussite is brightly fluorescent under both longwave and shortwave UV light. Lots of beautiful details for you to explore all the way around. 4.3 x 4.0 x 3.5 cm.